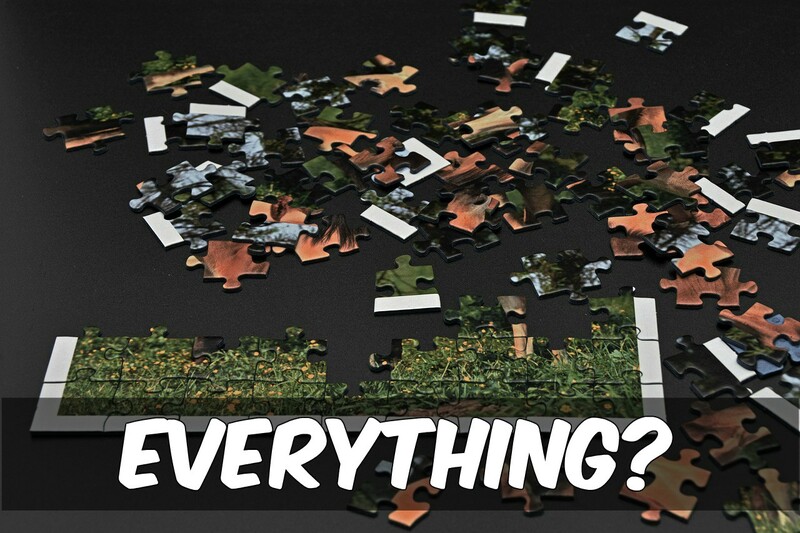 "Everything" is such a big word for me to comprehend. "Everything" gives me hope as a believer that my life is not dependent upon karma or some mythical set of scales that weigh my good and the bad deeds. It is refreshing to know that even my blunders can be turned into blessings by God's hand. Some of my greatest mistakes made me a better person through God's redeeming grace. I am not perfect though. I have many more "everythings" to endure. A friend reminded me today of the weight of the word "everything" when she told me about a health scare she had with a family member. Scripture, prayer and sermons are powerful but sometimes when it comes to the "biggies" we worry. Thankfully, God moved in a positive way in my friends life and I thank Him for that, but you and I know do not always get the answer we want. Still there is the word "Everything". God does not need our intellectual assent to be powerful, He already is! There are no amounts of worries, deeds or deals we can make to side step the promise that "Everything"works together for the good ... If you are a believer in Jesus Christ today, join me in resting in the world "Everything". God has not forgotten you and He knows exactly what you are going through. He has seen the puzzle, let Him put the pieces of your life together. If you are not a believer, I urge you to become one because your word is not "Everything". Your word is "Nothing". This world will be "as good as it gets." There is a God that loves you just as you are, imperfections and all. He wants to be your "Everything"
Live in the power and hope of the word "everything" today! These thoughts were provoked by a devotional I am reading through bible.com. If you would like to see what I saw then check it out. If you would like prayer or more information, fill out the form below or leave a comment.